For many people there is life after 40; for some mathematicians there is algebra after Galois theory. The objective ofthis book is to prove the latter thesis. It is written primarily for students who have assimilated substantial portions of a standard first year graduate algebra textbook, and who have enjoyed the experience. The material that is presented here should not be fatal if it is swallowed by persons who are not members of that group. 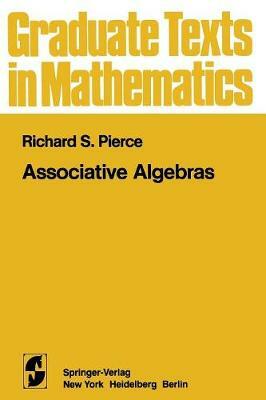 The objects of our attention in this book are associative algebras, mostly the ones that are finite dimensional over a field. This subject is ideal for a textbook that will lead graduate students into a specialized field of research. The major theorems on associative algebras inc1ude some of the most splendid results of the great heros of algebra: Wedderbum, Artin, Noether, Hasse, Brauer, Albert, Jacobson, and many others. The process of refine- ment and c1arification has brought the proof of the gems in this subject to a level that can be appreciated by students with only modest background. The subject is almost unique in the wide range of contacts that it makes with other parts of mathematics. The study of associative algebras con- tributes to and draws from such topics as group theory, commutative ring theory, field theory, algebraic number theory, algebraic geometry, homo- logical algebra, and category theory. It even has some ties with parts of applied mathematics.